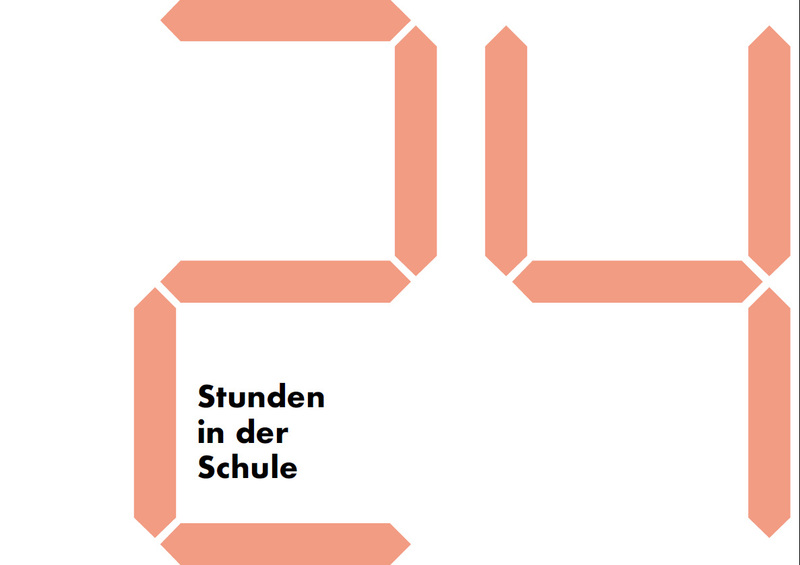 From robots in the gymnasium to lessons in submitting one’s tax declaration, to the democratic, grass-roots design of curricula, or animals, mobile phones, and VR glasses in the classroom—students from Lengenfeld unterm Stein to Teheran, from Cologne to Tokyo submitted over two hundred future visions to the creative competition. With a deadline of January 31, 2018, students from the age of 5 to 19 were invited to submit their wishes and demands for the school of the future. Drawing in these ideas a Student Manifesto has been compiled which condenses the most important demands of the children and teens. 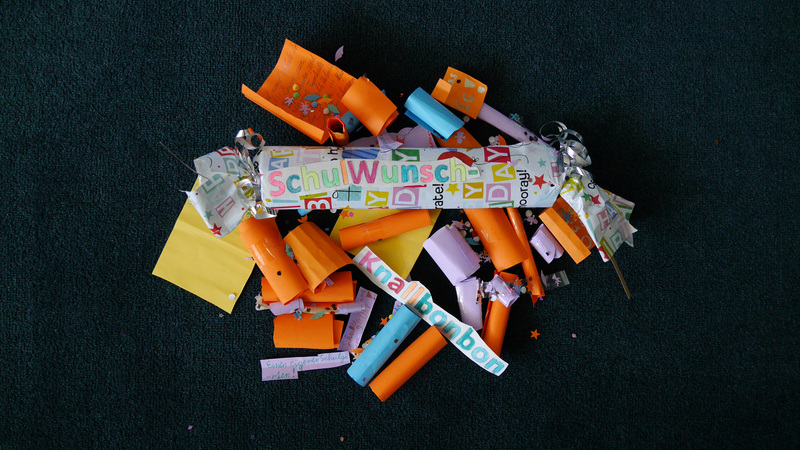 From all the submissions the jury selected five finalists respectively for the age groups 5-9, 10-14, and 15-19, and the category German schools abroad. The winners traveled to Berlin for the concluding program where the finalists’ submissions will be presented at the Award Ceremony in the presence of the Federal President. A project by Haus der Kulturen der Welt and the ZEIT publishing group under the patronage of the Federal President. 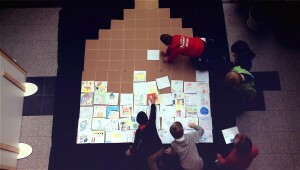 During the course of half a school year ten students across all grades worked on a series of A3 pictures. 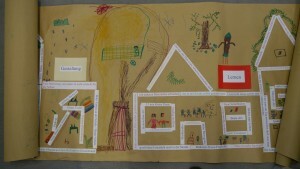 Each of the pictures created by the students is characterized by its own individual theme and complexity. Through the combination of the images to create the series of pop-up pictures, the individual contributions unite to form a harmonious team product. The result is an impressive total work of art characterized by a diversity of motifs which combine realistic demands (for example for a quiet room) with speculative elements (for example the wish for a time machine). 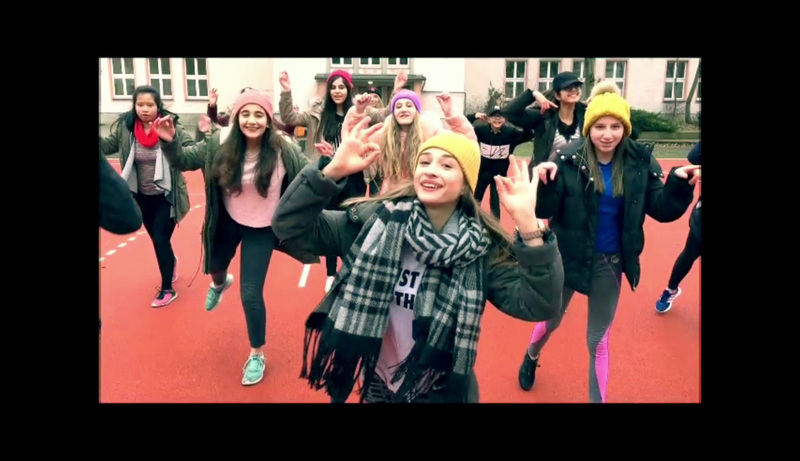 A captivating music video presenting a school-critical re-enactment of a Britney Spears song from the 1990s convinced the jury with its well-founded and concisely formulated critique of the school routine and its pressures, despite the visual language which sometimes affirmed traditional gender roles. At the same time, numerous realistic—and urgent—possibilities for change were formulated. The high degree of creativity, which was apparent both on the textual level and in the performances, as well as the great pleasure the students clearly took in the project, were received extremely positively by the jury. 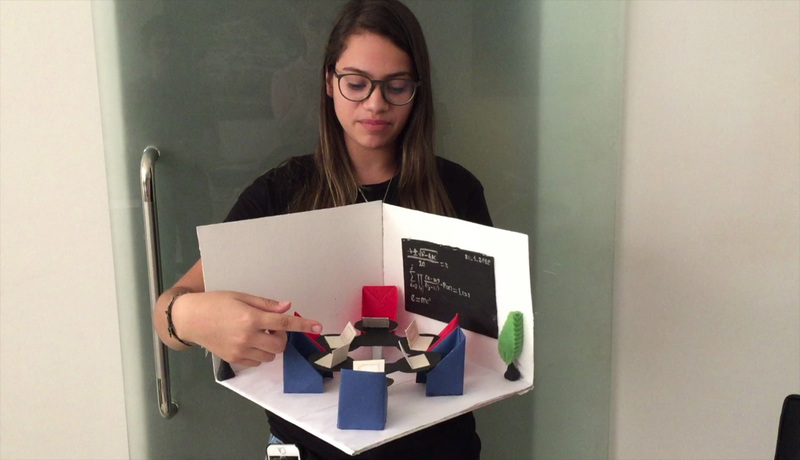 The 9th grade art laboratory impressed the jury members with the submission of an incredibly multi-layered concept for the school of the future. Inventions such as the “Holowatch” or the “Jonnymat”, magical places, and the mysterious “Spickerboutique” are just a few of the key elements of the new school. The contribution is shaped by a visionary seriousness and awareness for social responsibility, while also demonstrating a self-ironic approach to the thematization of its ideas. And not least, the ideas are presented in an extremely aesthetic and graphic fashion in the form of the submitted project documentation. Grade 8 students presented their ideas for the school of the future in the form of a varied and exciting Kamishibai, a Japanese narrative form using pictures that was recorded as a video clip. 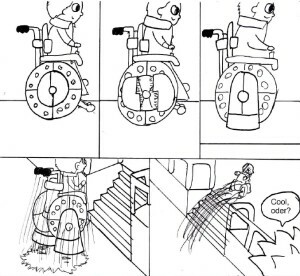 The extremely well thought out contribution is not only good to look at. 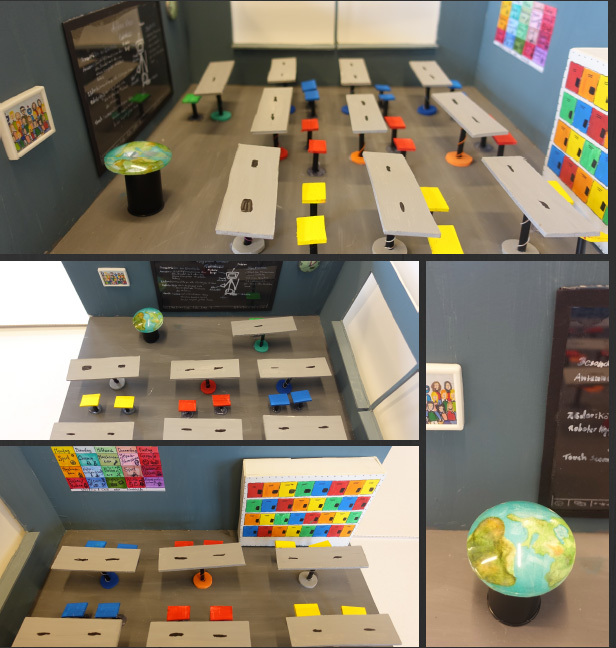 The ideas developed by the students focus on ecologically oriented schooling and anxiety-free, meaningful, and cooperative learning in a system free of grade pressure with many individualized choices for students. The contribution in the form of a room-filling leporello, worked on by all 85 elementary school students from the Internationale Deutsche Schule Paris, impressed the jury both in terms of its content and aesthetics. The result, documented in a film, is not just highly detailed and beautifully designed, it also expresses the enthusiastic approach to working on the development of new ideas. The texts and images present wishes for animals in the school, a teleportation carpet, a pool, a flying house, or an underwater school. The project combines individuality and communality: The ideas from over 100 students were combined to form a creative team product, the wonder school. However, it was not just this methodological aspect that convinced the jury: In terms of content the students’ ideas also demonstrated a great awareness for sustainability and ecological responsibility, as well as a critical perspective on the current school routine and imaginative designs for a future, communal, inclusive, and joyous learning experience. 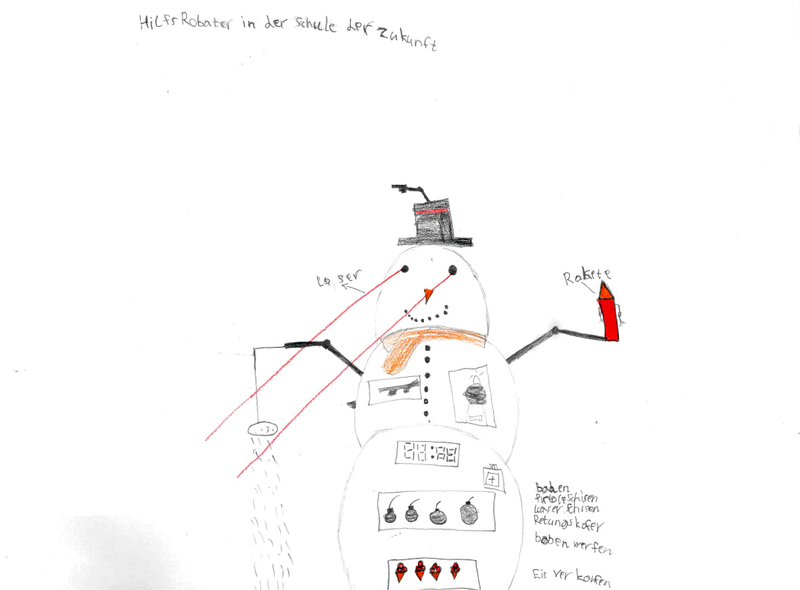 The bound project book submitted by a grade 3 class documents the ideas generated in a participative process by the young future visionaries from Cologne. 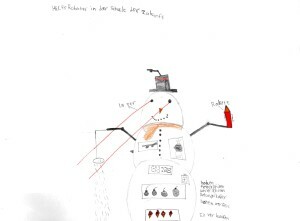 In 50 pages of text and images it brings together all manner of future visions from massage rooms, an angel museum and space station, to time machines and snowman robots. However, along with the visionary energy it was the well-founded critique of the current state of the school as an institution and the intensity of the working process displayed in the project book that impressed the jury. 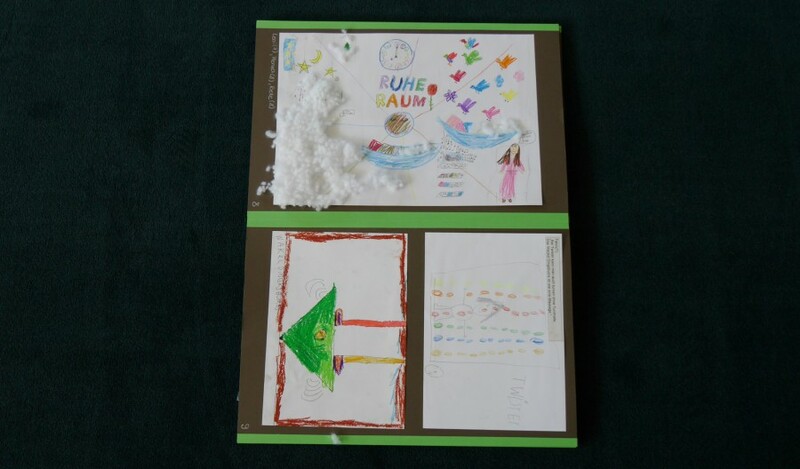 The Hausburg-Grundschule in Berlin made an unusual submission to the competition, sending two crackers to Haus der Kulturen der Welt. 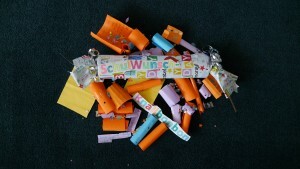 When the crackers were opened with a loud bang by pulling on each end, they scattered dozens of colorful wishes and requests for the school of the future. The wishes ranged from doing away with homework to the building of a slide in the school and a barrier-free school building. The wonderful idea of lending the school critique and utopian wishes impetus through a loud bang convinced the jury members. The jury members nominated this contribution as it succeeded in presenting a virtually inexhaustible reservoir of ideas which combine to form a holistic vision of future school life. 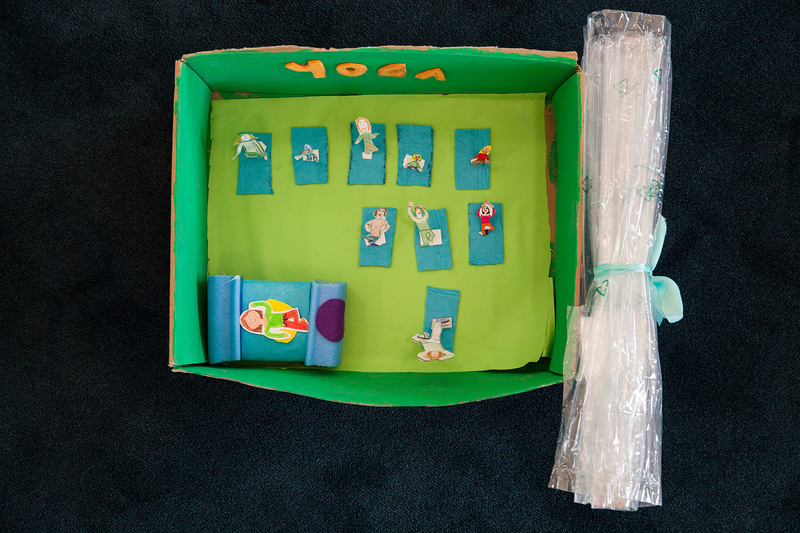 The component parts of the submission are as rich in form as they are diverse in content: model rooms, posters, and essays present ideas from a yoga and party room, a school zoo, and methods for inclusive learning, to adventurous learning paths on an ice rink. 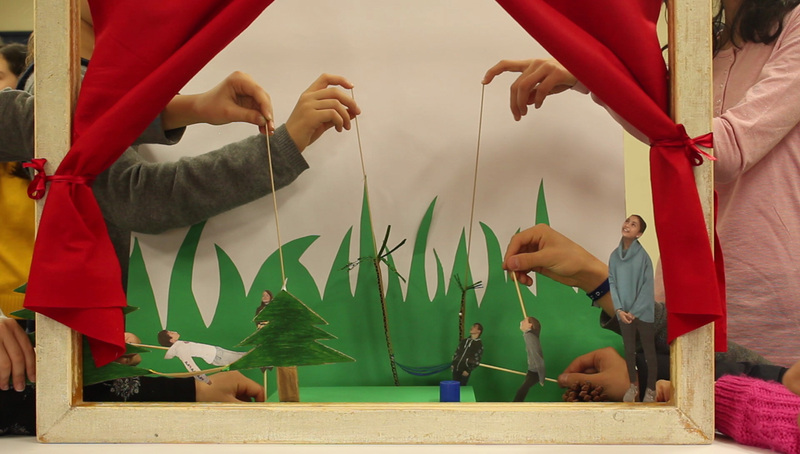 The performing arts course submitted a well-founded critique of the regular school system combined with participative concepts for the future in the form of a video. 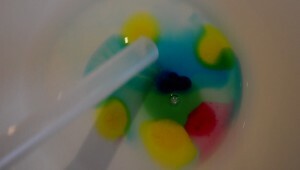 Through the film material’s dramaturgic composition, the contrast between today’s daily school routine and the vision of a future learning praxis was depicted in a visually appealing fashion. 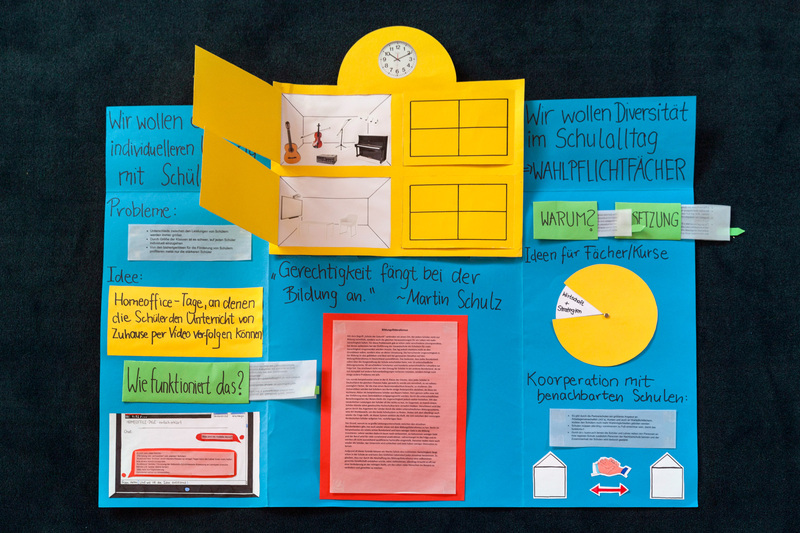 A further element which proved decisive for the jury nomination were the persuasive models of future learning-teaching situations, for example a format in which students teach the teachers. Students from two grade 8 classes formulated their ideas and questions concerning the school of the future in a student magazine. Despite the rather conventional layout, the content and the well thought out structure of the contribution convinced the jury members. Numerous exciting demands and innovative ideas were formulated. 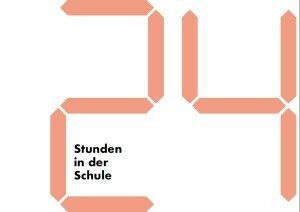 For example, the 20 hour week for students and the possibility of designing the timetable oneself. The possibility of online-based home schooling proved thought-provoking, while reports, interviews, and a riddle round off the magazine. 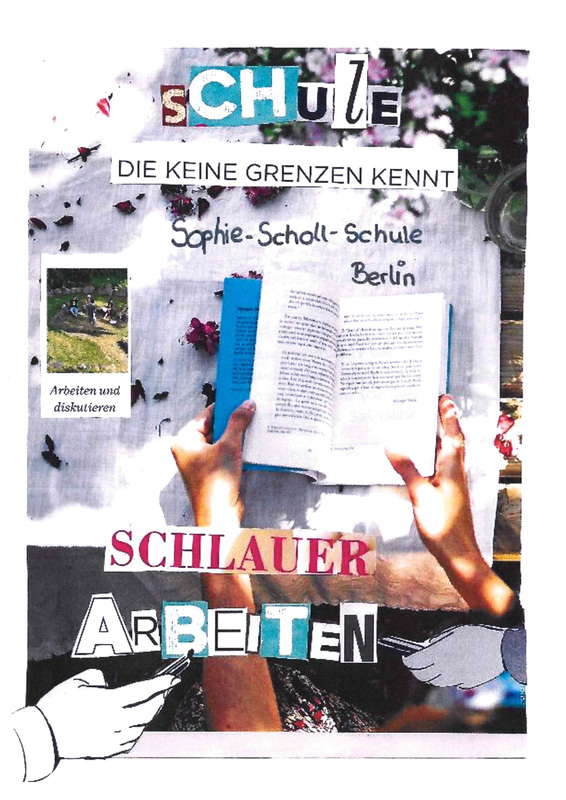 The blog set up by students at the Albrecht-Dürer-Gymnasium in Berlin impressed the jury members with both its professional appearance and the diverse range of creative media employed, as well as the public space which can be generated by the blog format. Instead of being confined to the school’s domestic environment, the demands raised here are also published as an education policy statement. Thanks to the innovative ideas, some of which are worked out in detail, the blog deserves to reach a wider audience. The cross-grade project group with over 130 students impressed the jury members with their several meters long idea roll which can be used as a mural. The innovate form of the submission, together with its creative and communally-oriented realization, stood out. The result is an impressive educational landscape structured by sound suggestions for improvement and enlivened with utopian moments. It represents a solidary, sustainable idea of a school in the spirit of the latest technology. 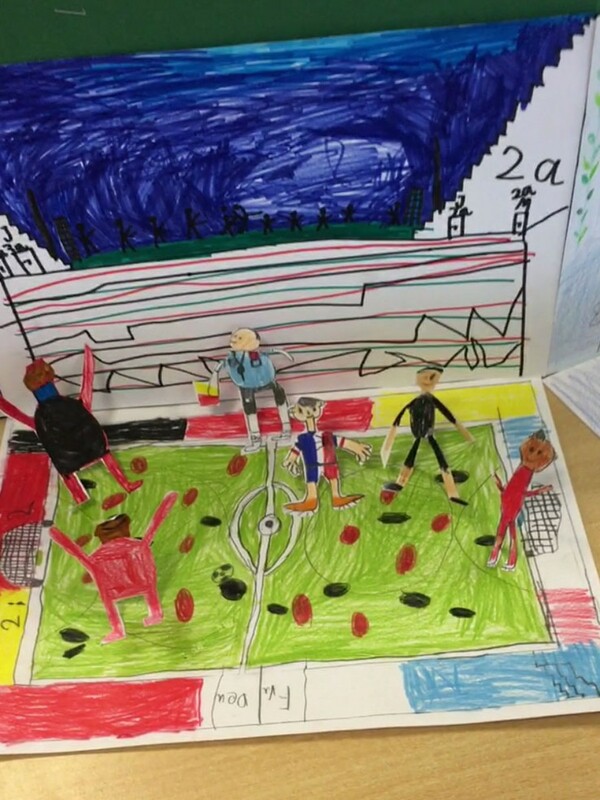 The Lapbook combines pedagogic visions with education policy demands. The imaginatively designed wall magazine with numerous hidden surprises was nominated by the jury for the well thought out and extremely convincing fashion in which it presents its ideas on the school of the future. A number of the demands, such as for a home office tag for students, the expansion of cooperation with other schools, or the strengthening of individuality and diversity, point to a student-oriented and desirable school of the future. 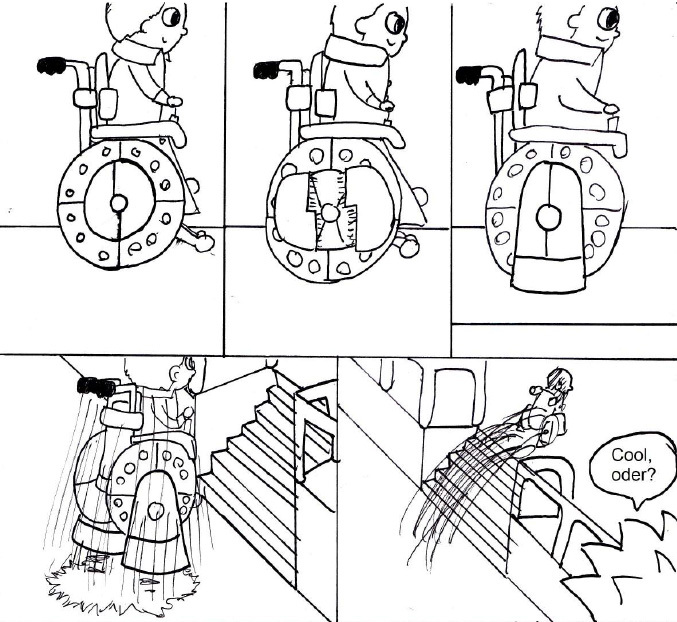 In the futuristic comic produced by a student, readers follow Leon, the author’s alter ego, on a journey of discovery through a barrier-free school of the future in which the use of holography, robots, rocket-powered wheel chairs, and high speed trains facilitate a range of different learning experiences and all children have access to exciting educational sites. These ideas and their graphic-creative realization convinced the jury. In their video essay two students explore the relationship between individual personal development and learning in a school environment. The jury members praise the contribution’s philosophical and aesthetic qualities, which succeeds in linking fundamental anthropological questions with practical school reform measures such as project work, alternative assessment methods, and strength-oriented work. The digitally narrated story was nominated for the outstanding manner in which it develops and presents a convincing vision of future educational praxis—as well as for anticipating this in the project realization. 24 Hours: It’s Our School realizes a temporary vision of a utopian-ecstatic learning community which not only generates impressive substantive and aesthetic results, but also draws attention to the possibilities of innovative learning environments in the here and now. 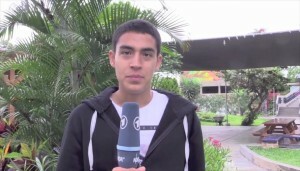 The news program Tagesschau is an institution on German television. However, up until now there has not been a special program on the school of the future. 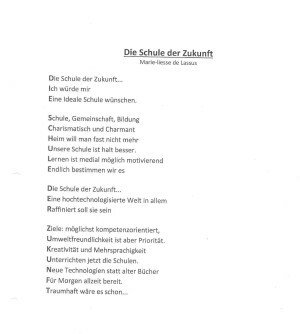 This omission has now been rectified by students of the Deutsche Schule Alexander von Humboldt. 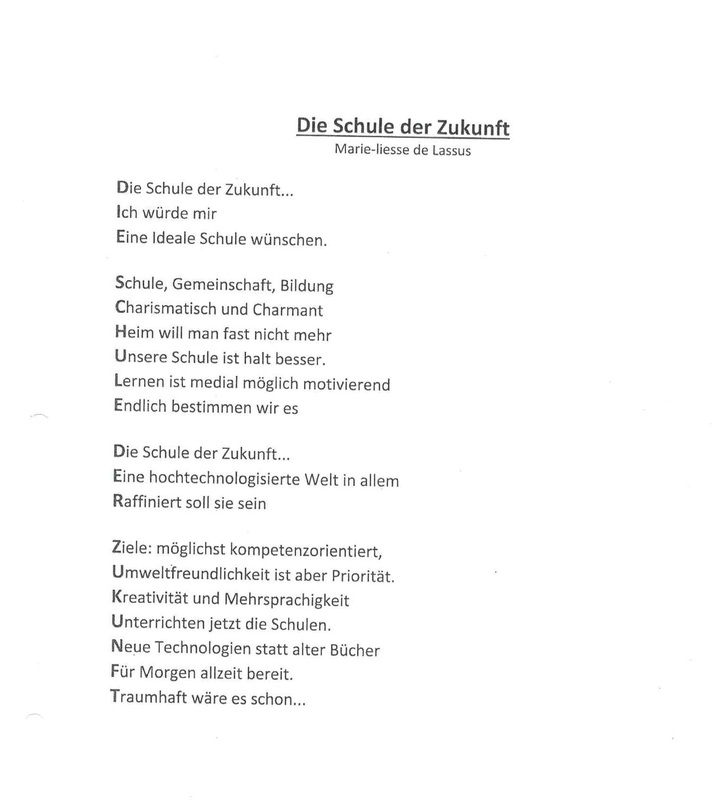 They reported on the educational revolution of the future, which has been declared a top priority by the Chancellor Angela Merkel. The project group presented three pillars of the education revolution—infrastructure, teaching concept, and extra-curricular activities—in documentary form and convinced the jury both in terms of content and the technical skills employed in the production of the news broadcast. The students’ collected poetry and prose contributions give unique expression to the bleak-dystopian reality of contemporary schools, concisely depicting the experiences of power and powerlessness, meaning and meaninglessness in a school system that is not always directed towards education. The jury was able to find a number of positive visions of a school of the future amongst the contributions, however it was the multifaceted and consistently high quality texts with their generalized critique formed from subjective experiences that hit the nerve of the jury members. Four students from the 10th grade submitted an innovative school model including a pedagogic reform program via video, combining holistic and explorative learning, social togetherness, and technical innovation with ecological sustainability. The multiform model, in combination with a detailed substantiation of their proposals for change, impressed the jury members as much as the professional multimedia presentation of the project. Poems, rap songs, architectural models, school newspapers, and collages: A detailed online compilation in German documents almost all of the entries to the ideas competition It’s Our School! in pictures, sounds, and videos. Drawing in the ideas a Student Manifesto has been compiled which condenses the most important demands of the children and teens.